Stronghold Members: Get a Hero’s Reward for participating. Format: 3 Rounds, 2000 points. We will use the Best Coast Parings program to track. Scenarios will be chosen from the ITC scenarios. Deathclocks will be utilized. This is an ITC event so the results will be sent in and tabulated in the ITC system. We WILL be using the new Space Marine Bolter rules that GW is beta testing. Armies: We encourage our players to have all their models be WYSIWYG (What you see it what you get) to avoid possible confusion for your opponents. Simple conversions are allowed, but anything more extreme, or model substitutions, must be approved by the event organizer. We encourage you to always double check with us in advance before using non WYSIWYG models. Prizes: $20.00 per person (minus the cost of lunch) is all put towards the prize pool. Prizes given for Top three players, best painted and best sportsman. Format: 3 Rounds, 1500 points, No units with the ‘Titanic’ keyword may be used. We will use the Best Coast Parings program to track. Scenarios will be chosen from the ITC scenarios, rulebook, and/or Chapter Approved. Deathclocks will be utilized. This is not an ITC event. Prizes: $20.00 per person (minus the cost of lunch) is all put towards the prize pool. Prizes given for Top three players, best painted and best sportsmanship. Format: 3 Rounds, 2000 points. We will use the Best Coast Parings program to track. Scenarios will be chosen from the ITC scenarios, rulebook, and/or Chapter Approved. Deathclocks will be utilized. This is not an ITC event. 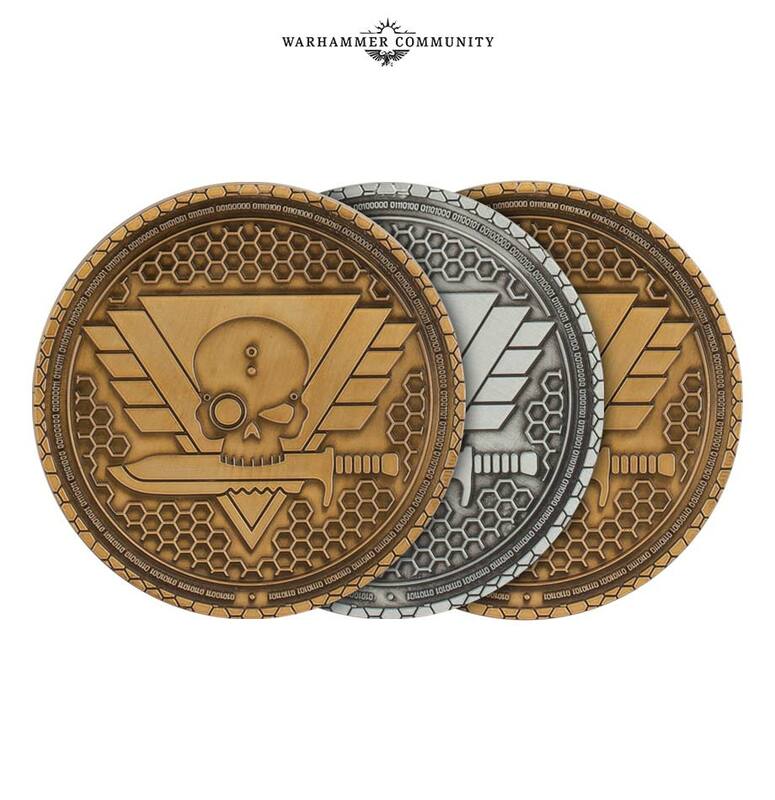 This is a narrative league, and will follow the rules outlined in the Kill Team Core Rules (p.202) with a couple of exceptions to how we will handle scoring and match-ups. Follow the guidelines for building a Kill Teak outlined in the Core Rules, especially on p.202. We recommend using the awesome Command Roster resource to manage your team. Players must submit a copy of starting roster to us before their first game. You will be assigned 6 opponents to play during the 7 week time-frame. You may also play up to 6 pick-up games (you may play no opponent more than twice in pick-up games). You may play these games in any order, and at any time that you can arrange with your opponents, however we recommend Tuesdays since that is our weekly Warhammer 40,000 night. Each player begins the league with 8 of each resources (Intelligence, Material, Morale, and Territory). Losing missions means you will lose some of your resources. If you ever drop to ‘0’ of any of these resources you will become a ‘Guerilla’ force. It is possible to earn some resources with Specialist Upgrades. Additionally, if you play a pick-up game and you win you earn +1 of one of the resources your opponent lost (so pick-up games risk losing resources, but you can also gain). Once a resource hits ‘0’ it can never be added to. At the end of the deadline anyone that has ‘Matched Games’ remaining will lose 1 of each resource. If you believe that it’s impossible to play a matched game despite your best efforts talk with the league commissioner (Brad) and he can assign you a replacement game. At the end of the deadline any non-guerilla teams will be compared to determine the winner. We will look at each surviving team’s worst resource first – so it’s better to have a balance (4/4/4/4 would beat 8/3/8/8). If there are only guerilla teams left then we will go through the same process and look at guerilla teams! Because resources are key it is important to select your mission carefully. Consider both players’ resources before picking. If both players agree they can select any mission from the ‘Narrative’ or ‘Matched Play’ missions. If they can’t come to an agreement follow the guidelines on p.203 to select your mission (both players roll off and the winner rolls on the chart). After every game both players must submit their game results via our Match Submission Form. It’s important that both players submit the form together, otherwise errors can happen. If you let your opponent do it all then it’s on you if there is a mistake. At least once a week the league commissioner (Brad) will update the overall league standings. Players should also track their games on the League Tracker cards provided for the most up to date resource scores. 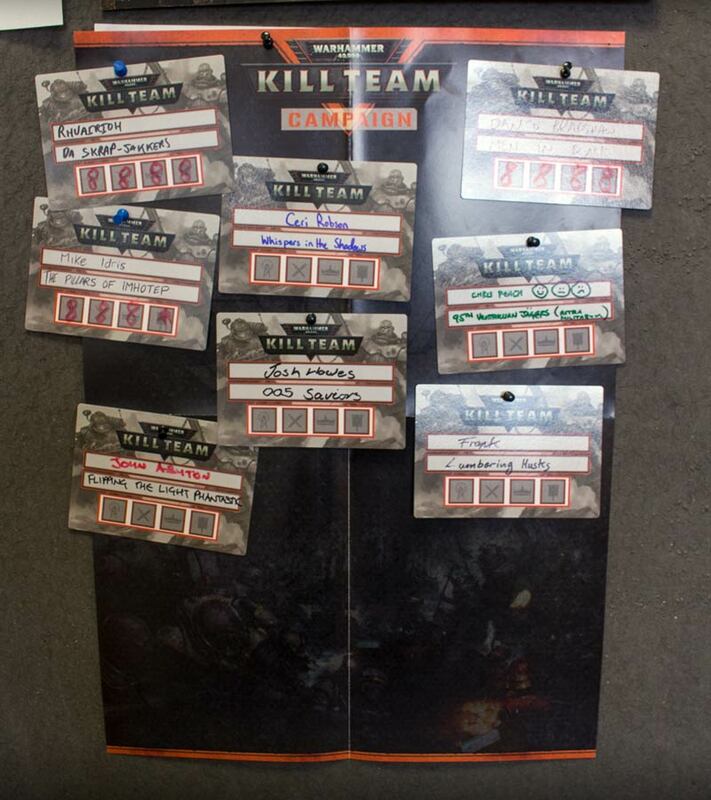 Kill Team Swag: Every game you play will get you a stamp on the back of your league tracker card, every four stamps you collect will earn you some cool stuff: a Kill Team Dice set with your first 4 games played, and a set of acrylic Kill Team Objectives with your second 4 games played! Best-in-Faction Badges: But that’s not all, because the top three players in each and every faction will also earn a unique Best-in-Faction badge! Tactics Cards: All players will also get a small pack of Tactics Cards and a League Tracker card when they play their first game! Format: 3 Rounds, 1000 points Doubles (Teams of 2). We will use the Best Coast Parings program to track. Scenarios will be chosen from the ITC scenarios, rulebook, and/or Chapter Approved. Deathclocks will be utilized. This is not an ITC event. Prizes: $20.00 per person (minus the cost of lunch) is all put towards the prize pool. Prizes given for Top three teams, best painted (individual) and best sportsmanship (team). Each team’s army is classified as the same army with the restriction of one faction per team removed. Each player’s individual army still has this restriction. Format: 3 Rounds, 1500 points. We will use the Best Coast Parings program to track. Scenarios will be chosen from the ITC scenarios. Deathclocks will be utilized. This is an ITC event so the results will be sent in and tabulated in the ITC system. Format: 3 Rounds, 1750 points. We will use the Best Coast Parings program to track. Scenarios will be chosen from the ITC scenarios, rulebook, and/or Chapter Approved. Deathclocks will be utilized. This is not an ITC event. Celebrate the beginning of 2019 with the biggest game of 40K this year! Forces: Maxiumum 500 Power Level, Open Play, No WYSIWYG. No need for detachments. Just bring what you got and fight it out! Prizes: $10.00 per participant will be put in a prize pool. Prizes distributed for cool moments that happen and epic play! Ring in the new year by blowing up some Xenos…and Chaos…and Imperium for good measure. Timeless. Nigh indestructible. Immune to all natural law. The Blackstone Fortresses are one of the 41st Millennium’s most enduring mysteries – rumoured to be the Old Ones’ last and deadliest gift to the galaxy they once ruled, none can say they know the truth of their origin. Warhammer Quest: Blackstone Fortress is coming! It is the first Warhammer Quest game to ever be set in the Warhammer 40,000 universe. This game will take you through game after game of adventure, exploring the ancient and mysterious Blackstone Fortress. It is both a stand-alone game, and an expansion for Warhammer 40,000 as all the miniatures in the game can not only be used in 40K, but the rules for them in Warhammer 40K are included! To celebrate this release, we are offering a Preorder Special to help you get in on the action right away! –Additional limited run promotional items from the Launch Pack! 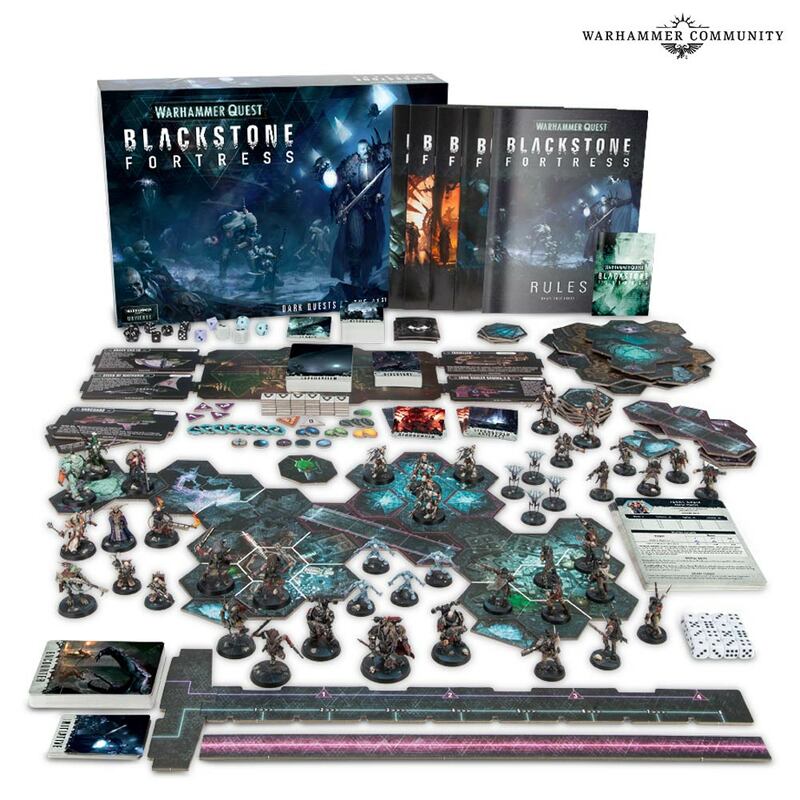 Check out all the details about Blackstone Fortress HERE! When the Holiday season is upon us our events take on a more noble spin. For several years our 40K Tournaments in December have been dedicated to charity, and this year is no exception! Join us, for Christmas Tree of Might 4! Format: 3 Rounds, 1500 points, No ‘Superheavy’ or ‘Titanic’ keyword units. We will use the Best Coast Parings program to track. Scenarios will be chosen from the ITC scenarios, rulebook, and/or Chapter Approved. Deathclocks will be utilized. This is not an ITC event. Prizes: All proceeds will go to charity! This year we are supporting the Chorus Radio Christmas Tree of Hope Campaign. Prizes will be fun stuff that has been donated by BKG, and other organizers. So don your best ‘Elmet, and unload your Blasta for a good cause!